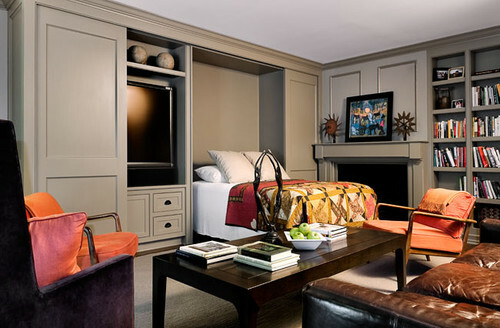 By Design Interiors, Inc. | Houston Interior Design Firm — The Season of Guests! This would be so nice to have. Normally the bed looks like closet doors and the room functions as an office. 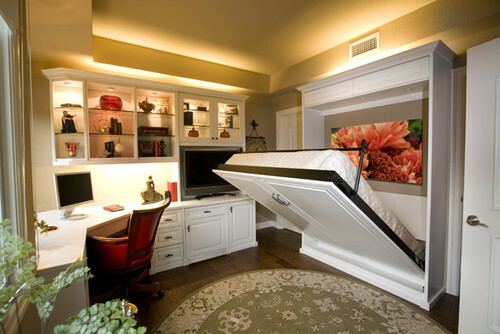 But when guest come, you can pull down the bed and (like magic) you have another room for guests! This is the same idea but I like how they they built the bed into a whole wall system with storage and an entertainment center! 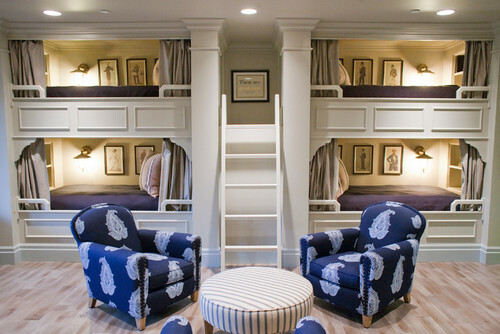 No one ever said there is a rule for how many beds can be put into a room. 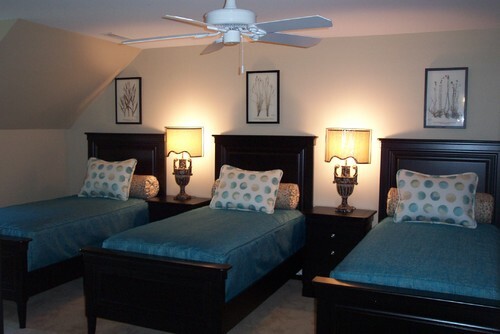 I love that they were able to fit 3 beds in this room. This would be great for company!